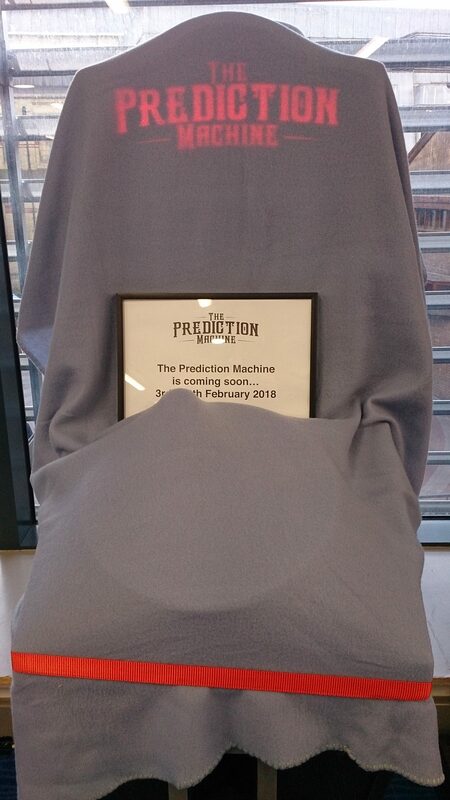 The next part of the journey of Performing the Future took me to Cambridge where The Prediction Machine was exhibited at Cambridge Central Library. 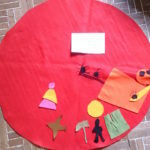 I worked with a wonderful team of partners including Anne Worthington who is Community Participation Officer for Cambridgeshire Libraries and Alana Sinclair and Nicole Barton from Cambridge Carbon Footprint who helped put together the exhibition. The machines sat next to the reception at the library and we had many interested and interesting people stopping to look and interact with the machines. 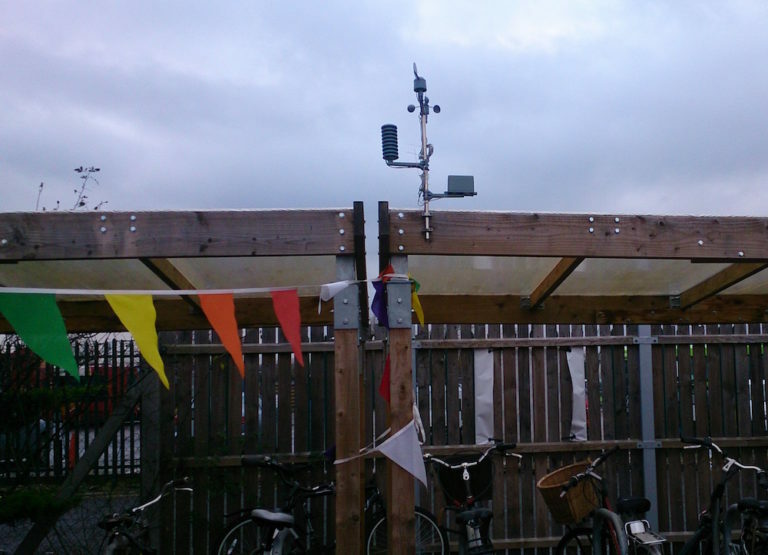 A weather station sends live temperature, rainfall and wind speed to the machines so that they can predict what the weather might be like in 30 years time in comparison, this was installed at the HQ of Cambridge Carbon Footprint and Outspoken Delivery with the help of Rob King. In the end 494 predictions were made by the machine for people in the library, 63 promises were made by people in response, 5 new predictions were written and added to the machine, and 16 people joined The Future Machine to keep track of their promises as the future unfolds. 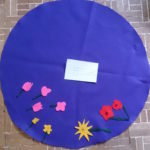 Alongside the exhibition I did a talk and brief workshop activity with the Not Quite Over the Hill group who meet at Arbury Community Centre and are a wonderfully active group of people. It was quite a hectic session but the people who were there contributed to my growing collection of ideas about what have been lost and gained in the past and what to protect and lose in the future. 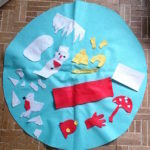 A smaller group also worked with me to create some beautiful felt data maps representing different weather scenarios and writing their own predictions about how these different weather scenarios might effect us in the future – that were added to The Prediction Machine.